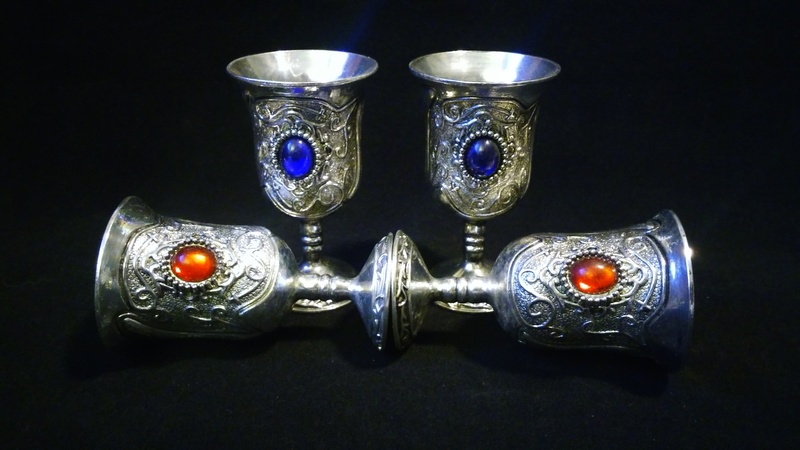 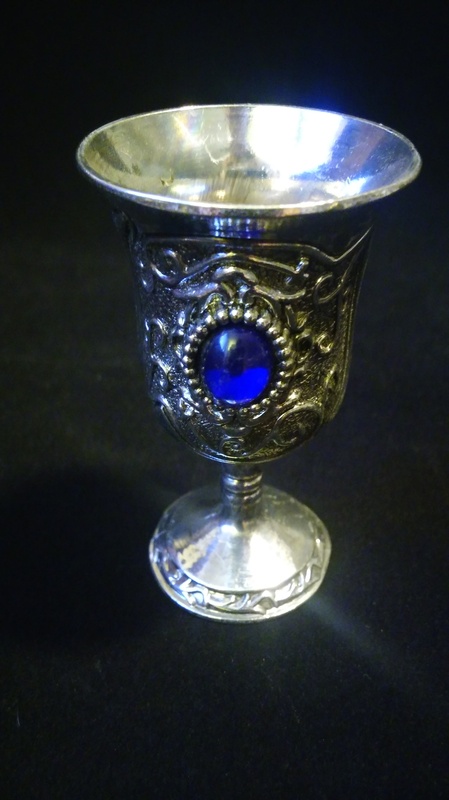 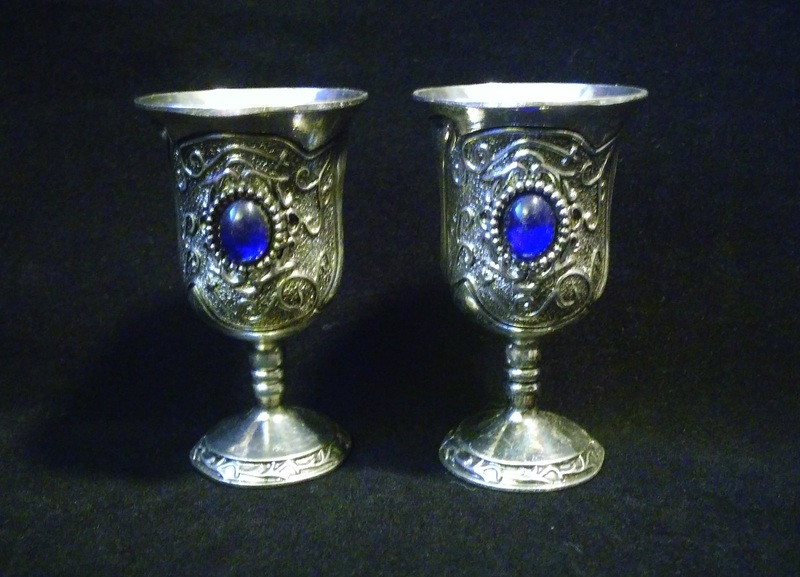 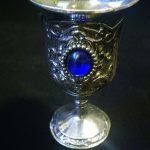 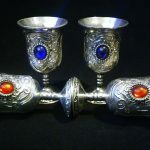 Mini silver goblet with two blue inlaid ovals. 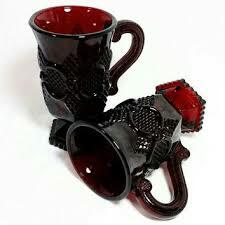 Raised design over most of the piece, very detailed overall. 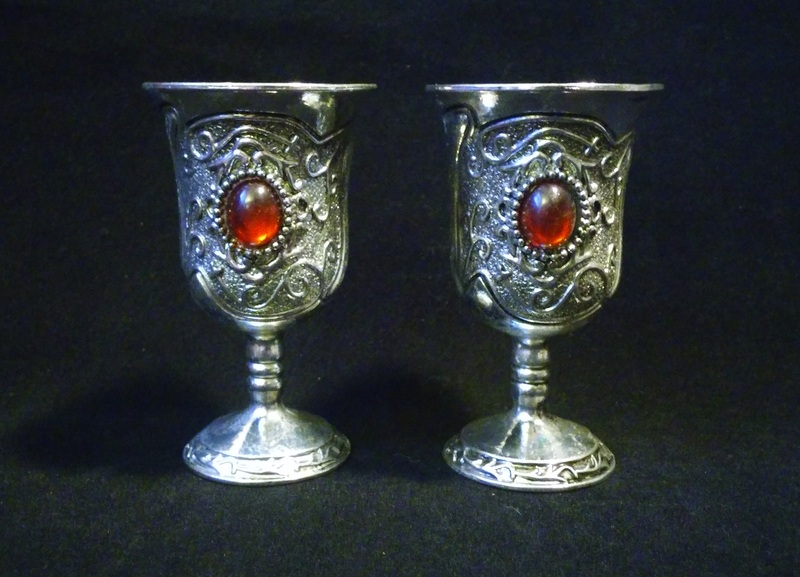 Use for small libation offerings, or fill with sand and use for a candle holder. 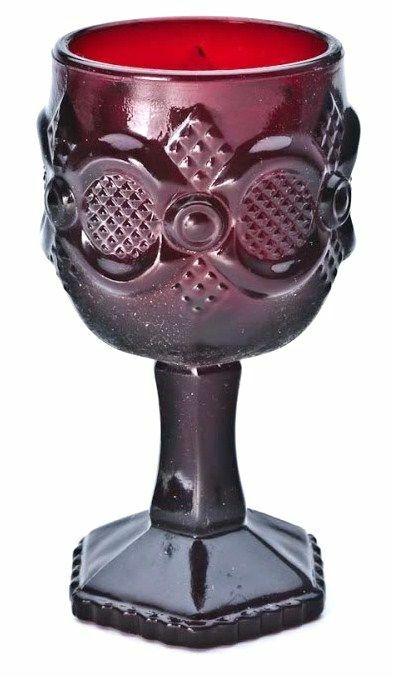 Also available with red inlaid ovals. 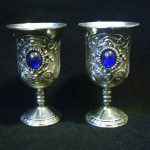 Price is for each goblet.